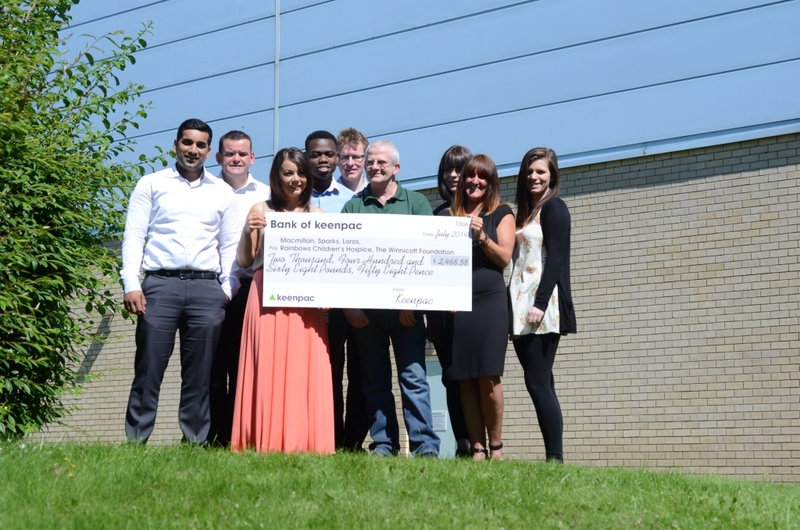 Staff at Keenpac, recently raised a total of £2500 for a number of nominated charities, by organising and taking part in a collection of team initiatives. Following a series of internal change management workshops held last year, Keenpac’s management teams developed and agreed their core values, mission statement and corporate vision. The core values, using the acronym ‘PRIDE’, include: Passionate about Packaging, Respect, Integrity, Delivering Beyond Expectations and Enjoying it. To consolidate these values, Keenpac have undertaken a series of team initiatives – their latest being an Accumulator Challenge, specifically aimed at the core value of ‘Delivering Beyond Expectations and Enjoying it’. Having nominated a leader, a team name and chosen a charity, the 5 participating teams were allocated £10 each. The challenge was for every team to use their £10 and come up with creative and entrepreneurial ideas to accumulate more money. The teams had one month in which to create as much money as possible, with the winners being the team that collected the most. 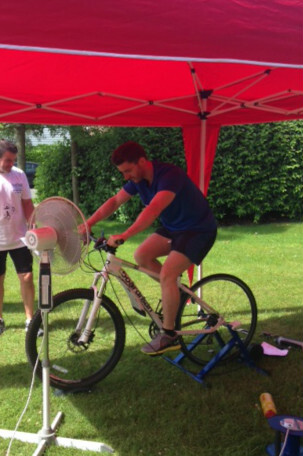 The teams put on various enterprising activities which included: organising and running a school fete for Keenpac staff, a stationary bike ride from Keenpac’s Leicester offices to London, leg waxing for £1 a strip, running a tuck shop, an ice cream stall, an e-auction and a raffle. The eventual winners were the Packaging Peddlars team with their stationary bike ride to London, who raised £845 for their chosen charity LOROS, a local Leicester hospice. Keenpac’s Helen Cockerham said: “This was a tremendous effort by all teams, which has resulted in a good amount of money being raised for various charities. Ultimately the challenge was a lot of fun and we achieved our aim to embody one of our core values”. A local hospice that every year cares for over 2,500 people across Leicester, Leicestershire and Rutland. As the East Midlands’ only hospice for children and young people, Rainbows is a place where life-limited children and their families can find care and support. Providing a wide range of support and care for those facing cancer, and their families.